Discovery is not always an endeavor of looking to the future. Time is modeled in such that it can sometimes allow us to look into the past or the future with the same clarity, like a reflecting pool. So whether you’re looking left or looking right, you’re bound to find things to see—depending on what you’re looking for. Something new? Something different? Or, as a music lover, are you merely looking for something that follows a kind of continuum? Buddy Holly to Beatles to Nick Lowe to Nik Armstrong? Who is to say that anything happening NOW is really modern? Especially since modernity really only refers to one specific type of art. So what exactly are you looking for…? These are all ideas that came to mind while speaking with Sean O’Hagan about his latest record Beet, Maize & Corn (Drag City, 2003). If you think that I’m talking about something old here, then start the introduction over. What you probably should know is that Sean O’Hagan has been for fifteen years the heart and soul of the High Llamas, and before that a member of Microdisney. Sean has survived the classifications of alternative-, lounge-, retro-, orchestral-, indie-, electro-, international-, and pop-rock. He has been dubbed things, and he likes dub. But none of that has really lasted. There are fans that thrill in seeing where Sean is going to out-out them next. Then there are others that only know him as well as the last review they read. Meanwhile Sean, with his thick reddish-blond hair and kind, weathered face is somewhere; following his muse through haunted hallways of time. Scram: —that you want to bring into Pop music? Sean O’Hagan: Yeah absolutely, and there were artists in the sixties and to some extent in the seventies who did that, to a certain extent. In the seventies it all gets a bit confused. There were in the sixties artists like the Free Design, the Fifth Dimension, people like that who did the fantastic little moves and changes and just you go oh that’s fantastic and it’s working in within the genre of Pop music and you go, God they’ve really reached out there. Scram: Was it more rooted though in aspiring towards beauty or towards sophistication? Sean O’Hagan: Beauty, I think. Sean O’Hagan: And ‘jazz harmony’ is a phrase that my friends who have been to music college use. When I was doing Gideon Gaye, I never would have used that phrase. I only use it know because I’ve realized that it’s kind of a clichÃ© of language that people can pick up on. I interrupted you, I’m sorry. Scram: That’s quite alright. You were talking about jazz harmony and Brian Wilson. When he was a teenager in 1962 or 1963, he was at a record store in a listening booth and he picked up the Four Freshman. And he thought, this is the new sound of music. Scram: My impression of that is that here’s a guy who’s basically living in a bubble, and no criticism towards him, but here’s a guy that doesn’t know that all of this Jazz has been happening in New York for the past ten years and he’s saying that this is the new sound. Scram: Basically what I’m trying to say is that something that is new to you isn’t always new to somebody else. Scram: Mmm hmm. Now are you Irish? Sean O’Hagan: My family are Irish, and I lived there for a number of years. Yeah and you know now, now, here I am in my early 40s, you know, I heard in the last three years Delius for the first time. Sean O’Hagan: Delius—he’s a British composer. Sean O’Hagan: Oh! Oh, astonishing stuff, it’s just like—and it was weird. He was playing music in 1900 which I was trying—I’ve been looking, when I was making Beet, Maize & Corn, I was trying to find that music, you know? Sean O’Hagan: It’s a very strange mixture of kind of the European school of the late 1800s and Spiritual music—American Spiritual music—the kind of music that became the Blues. Literally, the Spiritual music from the plantations. Sean O’Hagan: He was a strange guy, he left England in the 1860s and worked in an orangery in Georgia. Sean O’Hagan: And he heard Spiritual music. And instead of going down the route that maybe Stephen Foster did, he actually went back to Europe, studied at Leipzig, and started writing symphonic music that maybe had the flavor of Spiritualism. To me that’s amazing! Sean O’Hagan: Yeah, that’s “Rotary Hop.” You’re right, but the trick with lyrics for me is to create a story, and out of that you can extract little nuggets like that that where you think, “oh great, that’s actually true!” And the Snowbug example (“Bach Ze”), was “there must be something”… you know…God, I’ve forgot the lyrics, they’ve slipped me! God, I sing it all the bloody time, but that chorus is about, we’ll it’s about how there must be something out there to find, and there is. But, it’s also about how Johnson—and I don’t know if you realize this, and God I hope I’m correct in this—but Lyndon Johnson, brought the space program to Texas because basically there was a political move to bring it down there instead of to New Mexico, or wherever, And uh, he had this kind of whole scenario where he was like ‘there’s something out there, and we’re gonna find it, and it’s gonna—and in those days Texas wasn’t Bush’s Texas, you know, it was a poor Texas—and it was we’re gonna bring something of the future to Texas. And I just thought it was a great story, but it was very much—you’re right—it managed to create a situation where you were actually talking about space travel and sort of looking for something that might be out there. And “Rotary Hop” is about Beefheart. It’s just about Captain Beefheart, how he sat himself up in the desert and he was always looking for new people to play with, and new places to go to. Because he could never settle anywhere because he had a certain madness within him and within his music. Scram: And even the title of the song, “Bach Ze,” is itself kind of similar to this Delius idea. Guy from the 1900s, European school, goes to work in an orange plantation Georgia, and you know, hears Spirituals in a new way—hears them for what they bring intellectually to the big picture of music. Scram: Who’s this kind of fringe Brazilian figure. Scram: And you’re kind of this person who’s able to say, “Well I think this is beautiful, and I think this is beautiful.” And I’m not necessarily saying that you marry the two elements. Sean O’Hagan: And you’re spot on—it’s self explanatory to an extent, obviously to you but not to most people they’re like—where did you get that from? Scram: There is a certain kind of canon feel to a lot of High Llamas songs, where you kind of find yourself coming full circle, , such is the nature of Pop music and the journey of the song is kind of introspective and moody. You’re not always very sure where your footing is. You know what I’m saying? Sean O’Hagan: Absolutely yeah, yeah—well, you’ve got a choice in a lot of music. You can give people a situation where they’re gonna know what is going to happen—and most successful Pop music is successful just because of that very thing, because people know exactly what’s gonna come around and they’re waiting for it and here it comes and thrust a fist in the air and there you go. Or you can go, well you think that’s coming around the corner, well it’s not, it’s this. But then it does revert to the Pop music format somewhat in that you’ve got that unpredictability for maybe 8 bars, but that 8 bars, you know, is gonna happen as the second verse, and so you’ve familiarized yourself with that slight, unsure footing, as you’ve put it, and that’s an odd experience, it’s a sort of unfamiliar thing that’s become familiar very quickly, and it’s sort of like getting people used to sort of altered musical conditions…. A lot of the brass on the new record was very much informed by Carla Bley. Scram: Huh. Interesting that you mention that, I keep hearing that name. Sean O’Hagan: Yeah, She’s fantastic, just like her husband Paul, she’s just a great compositional Jazz arranger. She was influenced by Charlie Mingus and Kurt Weill, and she really made these records in 1968, 1969, the finest of which I think is called Escalator Over The Hill. It’s just that lovely loose brass, and this is very indulgent as well, it’s got that loose brass as well, I really love that, I really just wanted to capture that on Beet, Maize & Corn. I’ve been totally into it for the last couple of years. You know, there is a certain familiarity to everything from Gideon Gaye right up to Buzzle Bee, if you think, and for me Gideon Gaye, Hawaii, and Cold and Bouncy were all connected. There was a certain way of working that carried through very crudely from Gideon Gaye and I had perfected it by Cold and Bouncy. I stopped that, and I sort of jumped to another horse on Snowbug—that was the sort of loose feel and that was when the Brazilian influences came in. That carried through to Buzzle Bee, and on Beet, Maize & Corn, the big thing I wanted to do, the Big Big thing was to not reference—apart from Carla Bley who’s from the seventies—was to not reference the sixties or the seventies in any big way. Because you know, it’s still the cool thing to reference in music, whether it’s Beck, Tortoise or Matmos, referencing a little bit of the sixties but then, they’re very much cutting edge sort of digital electronics. Sean O’Hagan: And it’s, well one week it’s Serge Gainsbourg, and the next week it’s going to be um, you know, Tim Hardin. 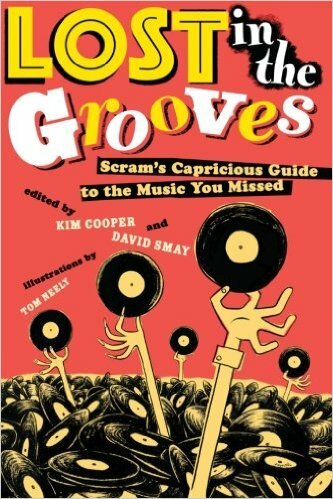 Scram: It’s what you’re talking about—the Record Collector mentality of creating music. Sean O’Hagan: Yeah, it’s Other Music, it’s people who love Other Music—well I love Other Music— but you know, it’s that kind of thing which everyone in the states seems to refer to. And I just wanted to say, how are you going to make a different record? And the two things were: don’t reference those decades the way that everyone else is, so I said I’m going to reference 1958, 1959, and that really lovely odd little period of American music. 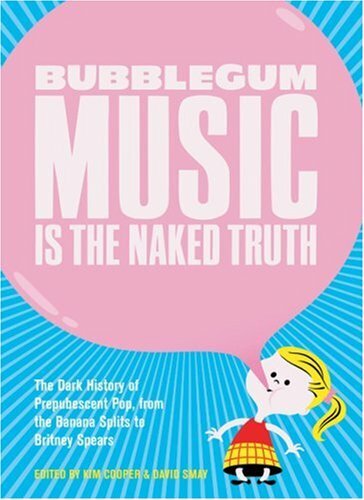 And the other thing I’m going to reference is where the root of Jazz, as it is used in Pop music comes from, and that’s Ravel, Delius, and they informed Gershwin and Cole Porter. But I wasn’t going to go Gershwin and Cole Porter, I was going to go one beyond Gershwin and Cole Porter, go back fifty years. Where did they get it from? Scram: Okay, that’s a great song. Sean O’Hagan: Strings, how those strings just kind of wander in and out of each other, it’s the reverb on those strings, on “Leaf and Lime,” that kind of dreamy beat box feel without a beat box, that’s very much in Bob Lind style—Bob Lind, who was just making music in 1959—and it’s a few of the sort of little moves with the arrangement. Scram: The chromatic coming out of the chorus. Sean O’Hagan: There was kind of an unnaturalness about it. I mean, if you listen to Doo Wop, Jesus, that is just the strangest music that you can listen to, It’s stranger than anything Hendrix ever did, The strangest Doo Wop is absolutely out there—and there was an unnaturalness about it. And it was all happening in the fifties. And when the sixties came along, everybody said, because they’d discovered feedback and fuzz-boxes, they thought they’d cracked the universe open. And they hadn’t cracked the universe open. You had to go back one decade, and these street corner singers were doing more unusual things. Go back two decades and Charles Ives was writing, you know, balmy, balmy music. Scram: Because I think that when you go on a musical journey listening to stuff, your next big thing is what’s the next-big-thing for you. And it’s what’s modern for you—you know what I’m saying? Sean O’Hagan: And that’s a good thing isn’t it—you’re saying that’s a good thing? Sean O’Hagan: It’s like I was saying, I didn’t have a Classical upbringing. I heard Stravinsky and the “Rites of Spring” at school and I was forced to listen and I thought, Jesus Christ, this guy. And I’m not very big into the Germans, Mozart or Hayden, whatever. And Beethoven used to bore the pants off of me until somebody said you’ve gotta listen to his string quartets, to his trios—and they’re absolutely crazy, they’re wonderful things. And Classical musicians, when you’re doing recording strings, you interact with these people who’ve been to music college, and they’re you know they know it all. And when you talk excitedly about something they’re completely familiar with, I think they’re looking at you slightly pitifully, or “yeah, so, didn’t you know?” And the answer is no, I didn’t know. And so, it’s something that’s fresh and exciting that you can use, and you can use it. Scram: Well, you see it through the eyes of a child. Scram: You see, and I think a lot of what art means to me is clearing away the perceptions of the world. I look at something and I say, I think it’s beautiful, and it could be a book that maybe somebody else thinks is trite, and you say, well I see a lot of beauty in this book, and that’s a very personal thing. Sean O’Hagan: And it’s—the result is that it inspires you, and you actually go out and do something quite unusual because of it. That means that something good has happened. There’s been a good interaction.